Since Halloween is around the corner, it’s time for you to decide whether you want to trick people or treat them? 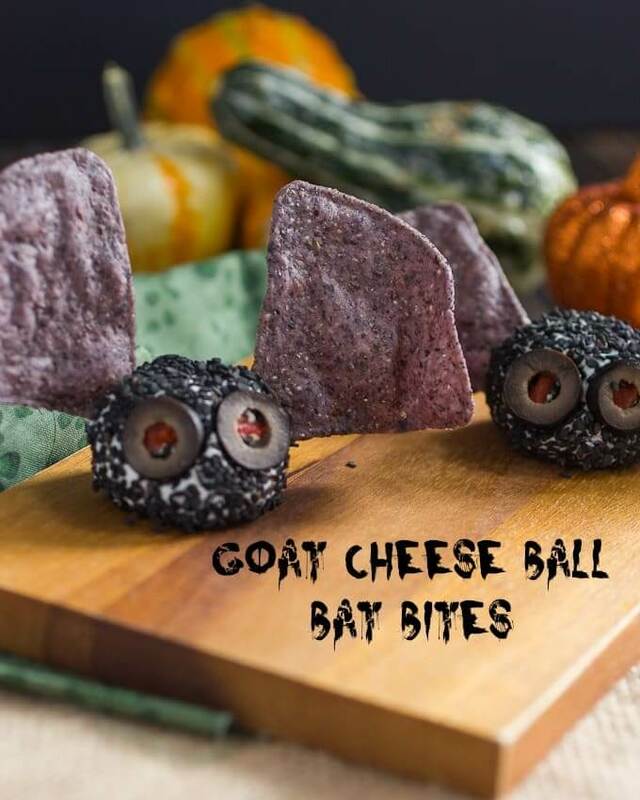 And could there be any better way to get everyone in the Halloween spirit than by serving some scrumptious Halloween appetizers? We really don’t think so. 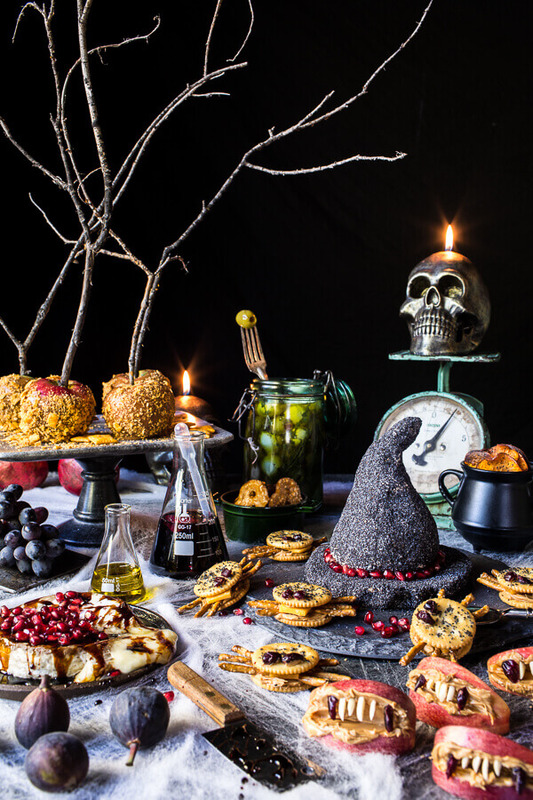 We’ve taken all your responsibility of hosting an amazing Halloween party on us. 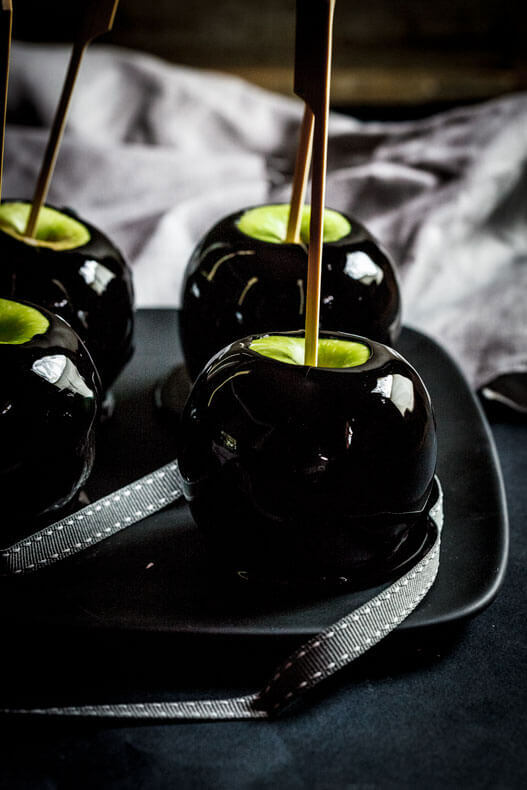 Below we’ve gathered Halloween appetizer recipes for you. Take a look! 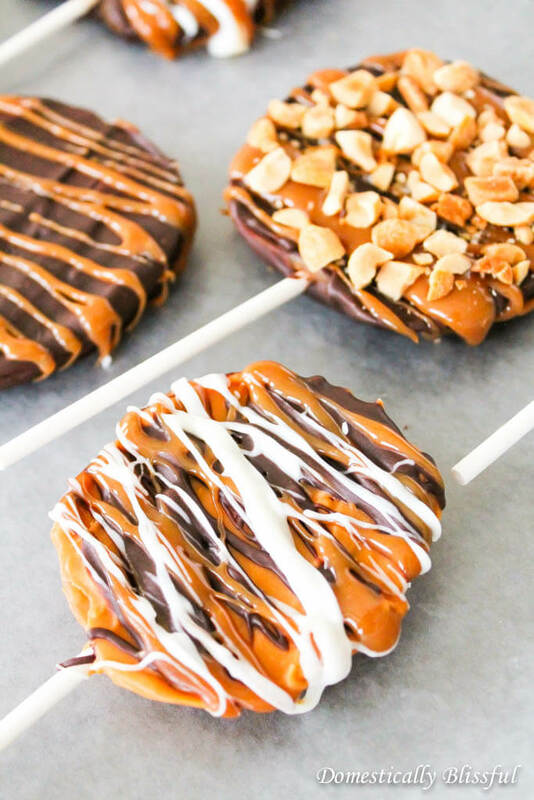 We guarantee you that just a single bite of these toffee apples will have each and everyone admiring your culinary skills. It looks sinister, but tastes wonderful. How can anyone ever get enough of cheeseballs, especially when they are coated with potato chips? 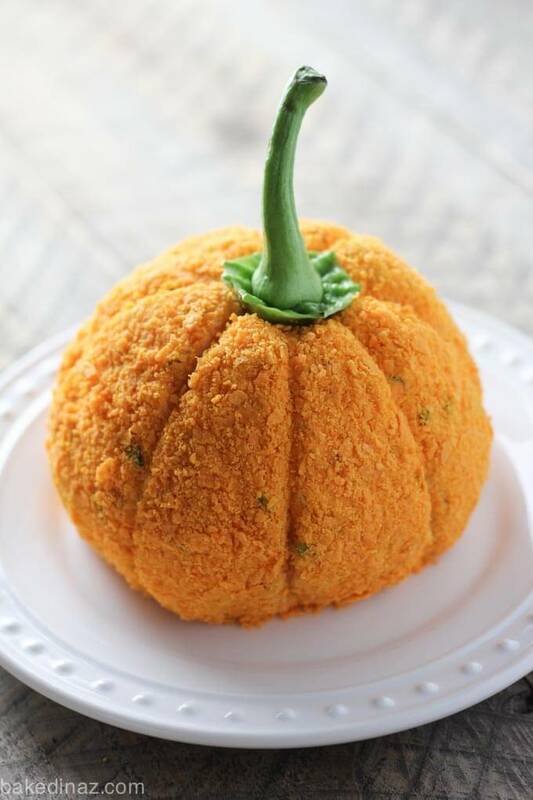 The decoration of this cheeseball has been done in an amazing way. 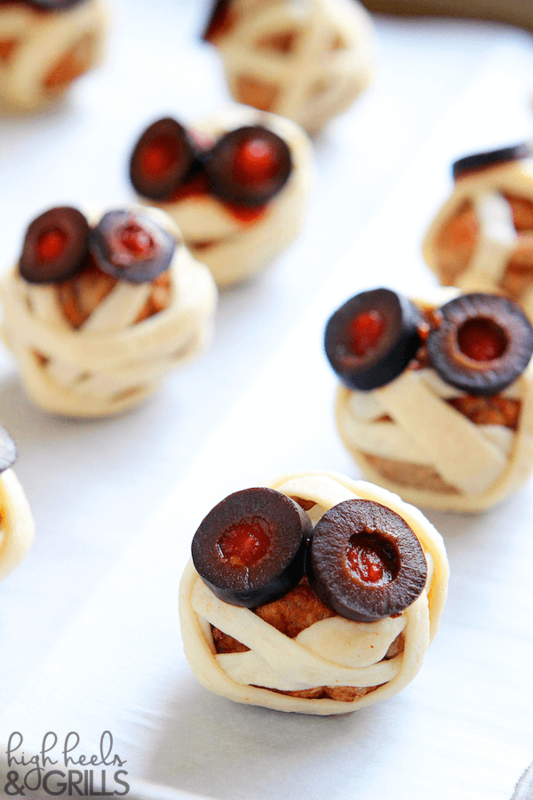 Instead of baking the same old pizza, you can try whipping up this yummy meatball mummies. It’s basically meatball in puffed pastry and topped with marinara sauce and olives. 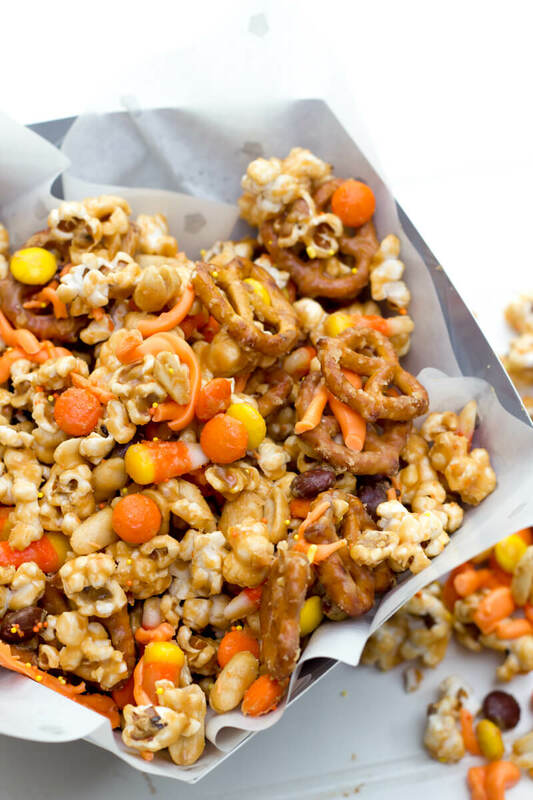 We’re going totally crazy over these delicious and unique cheeseballs. The tortilla chips as wings are totally killing it. 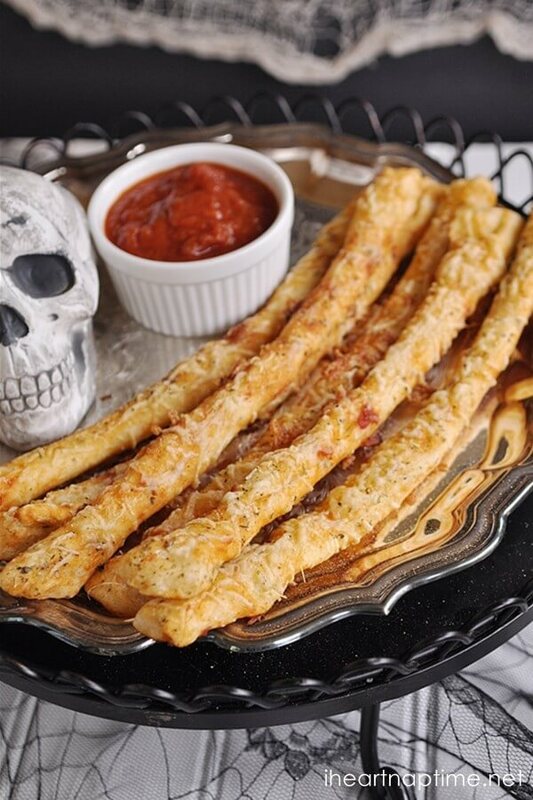 Have these cheesy breadstick bones with marinara sauce for an amazing punch of flavor. Oh, and did we tell you how amazing it is to make? 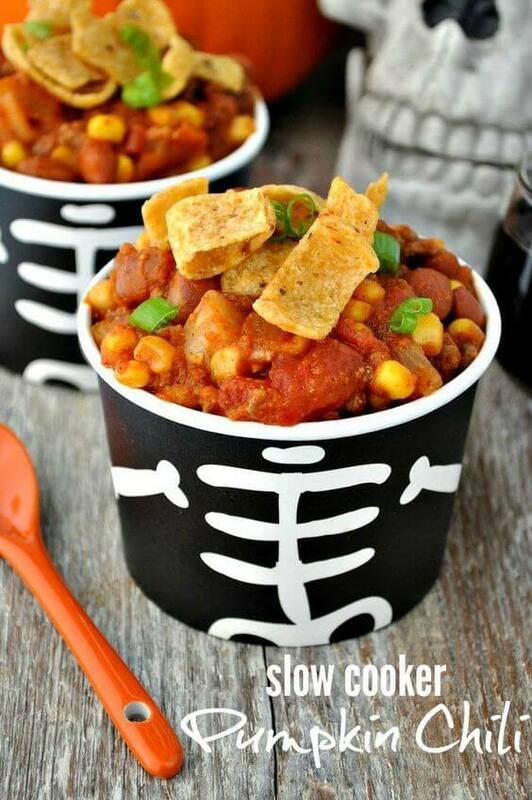 Here’s a perfect last minute Halloween recipe for you. It won’t take more than ten minutes to whip it up Whatever time it will take, it will be in boiling the eggs. 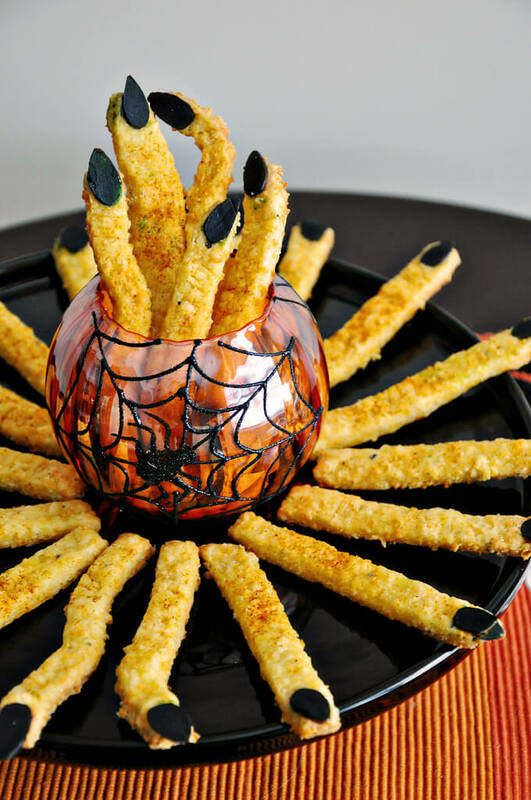 Give finger foods an entirely new meaning with these cheddar witch fingers. Serve it with a dip or sauce for maximum effect. 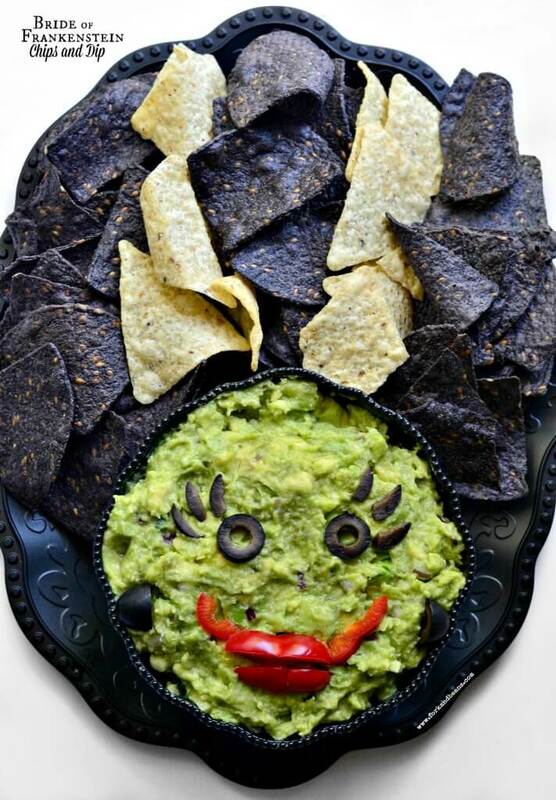 This dip contains bits of children, a favorite meat of many. 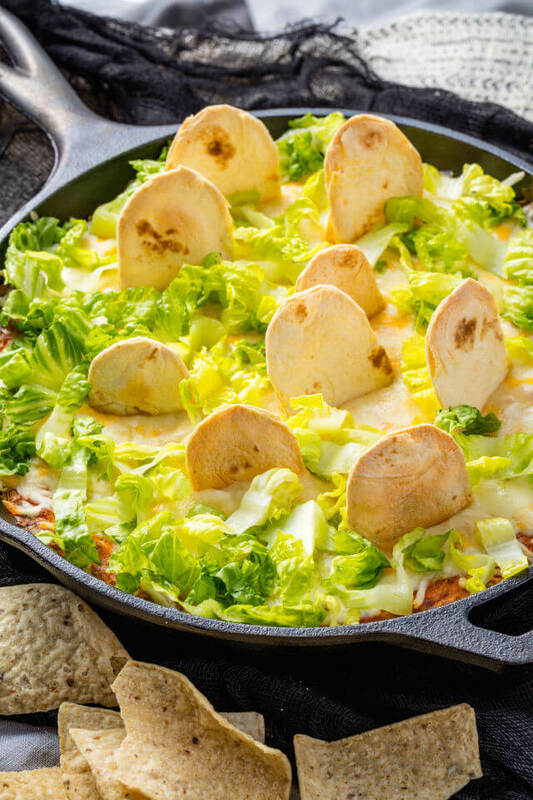 And the lettuce is adding the right amount of crunch to the dip. Can you guess what’s the scariest thing about this pizza? It’s the rate at which it will be devoured by everyone. Be prepared to make fresh batches of it. 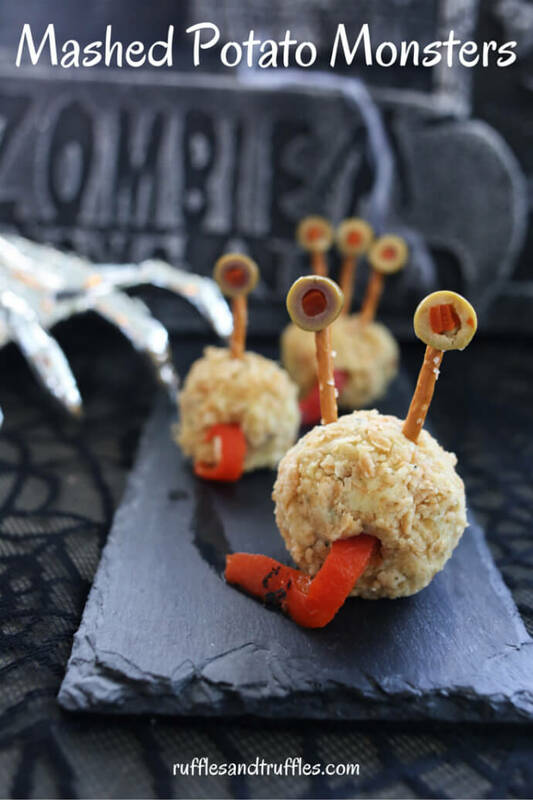 This easy to make and awesome to taste Halloween appetizer will be a major hit at the party. 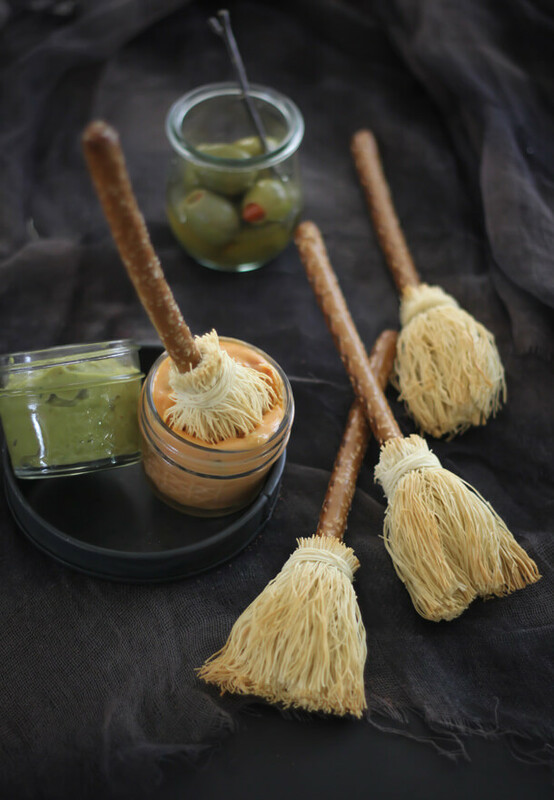 You just have to cut the string cheese and bind it around the pretzel sticks using sprigs of chive. 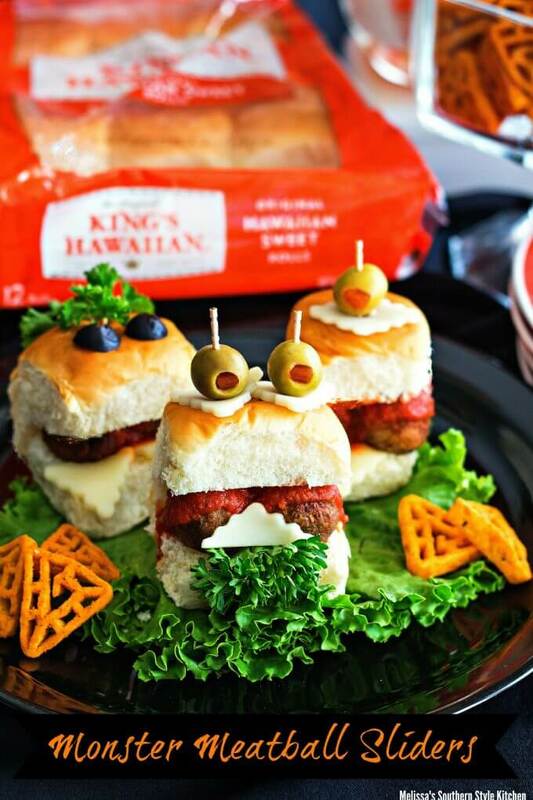 Wear your creative shoes and set up a sandwich station this Halloween, especially if you have little ones coming over. They’ll have a gala time creating their very own little monsters. 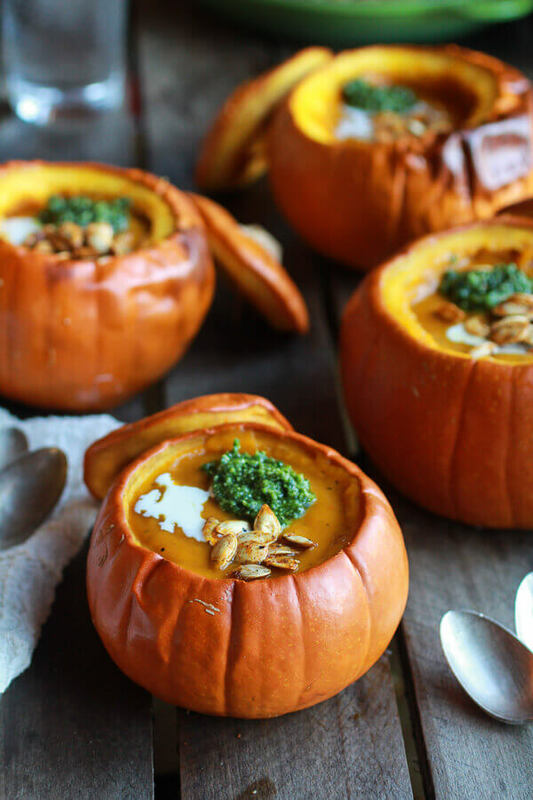 The fried pumpkin seeds on this soup are providing the perfect amount of crunchiness. And it will fill you with warmth, too. We can’t wait to try it. An appetizer that will open your hearts, minds, and everything! These are indeed mouthwatering. And it will definitely work as an appetizer for children. 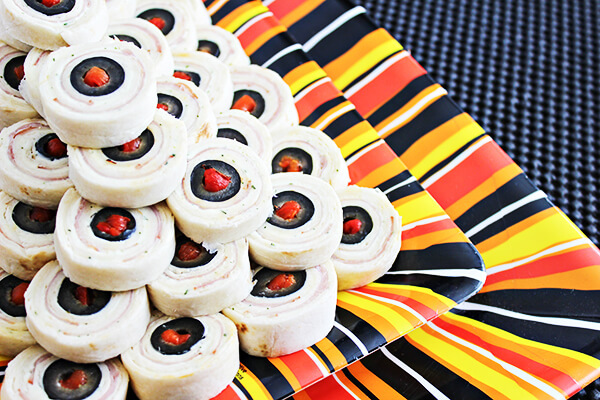 Get rolling with these super delicious and easy to make eyeball pinwheels. 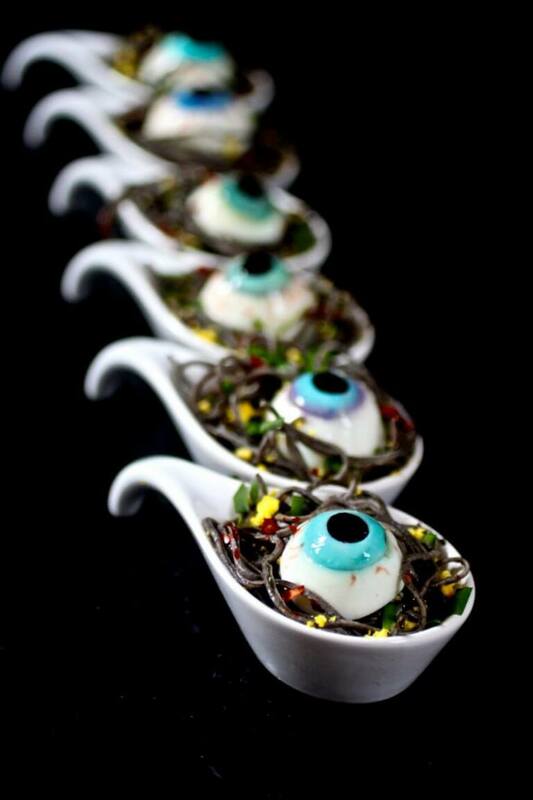 We loved the selection of cutlery for this eye. It’s bright and super Halloween-y. 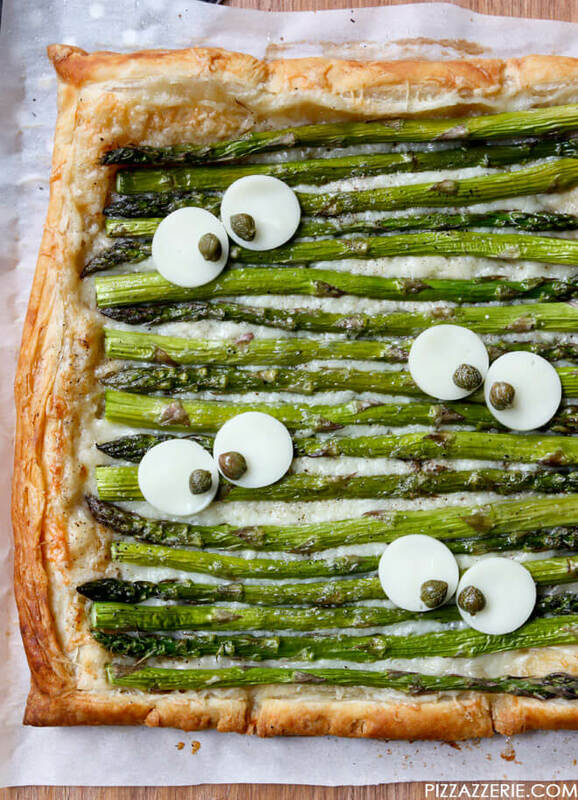 If you and your children have been eating candy all day, you can balance it excellently with this Monster Eye Asparagus Gruyere Tart. It’s healthy, tasty and very filling. You know the best part about this Frankenstein? It won’t go on a killing spree! These mummies are giving us squad goals. And we’re totally loving it. 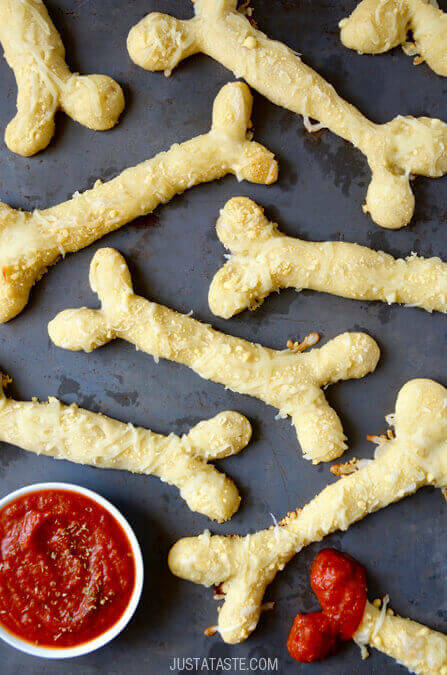 To make the best of these bread sticks, devour them with marinara sauce. 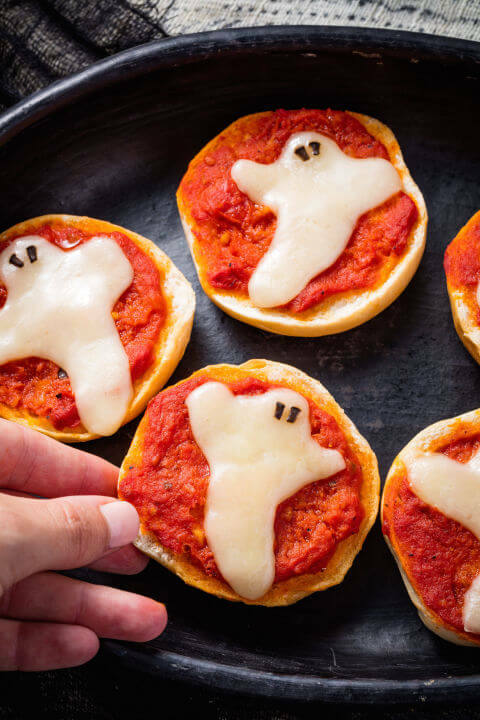 Ghost, cat and bat shaped cookie cutters are what you need specifically for this appetizer. The rest of the ingredients required will be lying in your house itself. This looks a bit gross, to be honest. But let’s appreciate the detailing here. 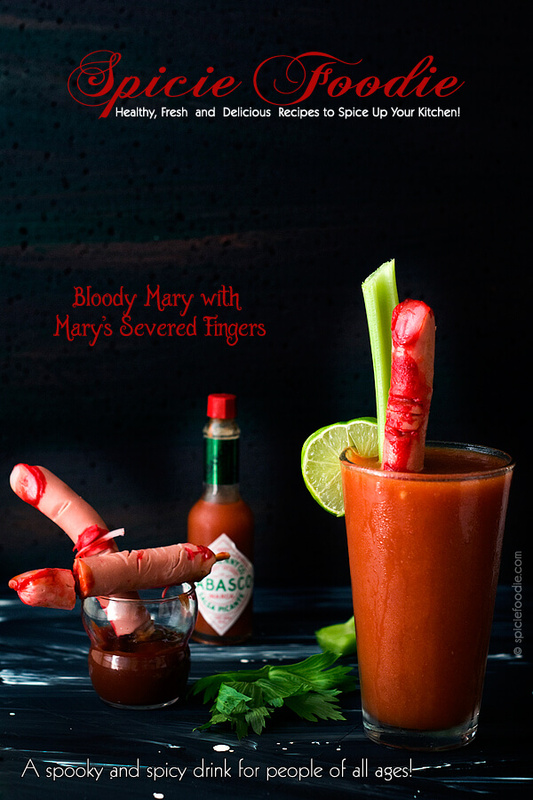 The fingers have been made meticulously and it will taste well with Bloody Mary. Woah! 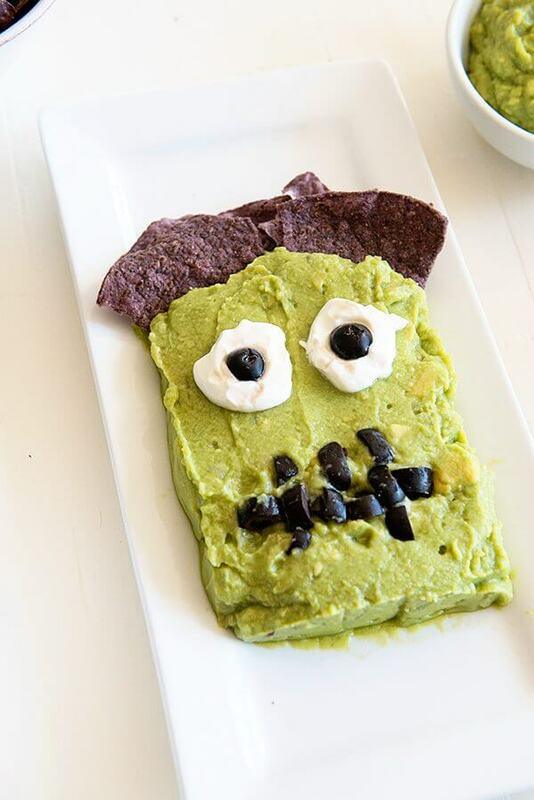 There are loads of Halloween appetizer recipes in just a single article. And all of them are so delicious that people will be left spoilt for choice. When Frankenstein is there, how can his bride be behind? And don’t you think she’s never looked this better? 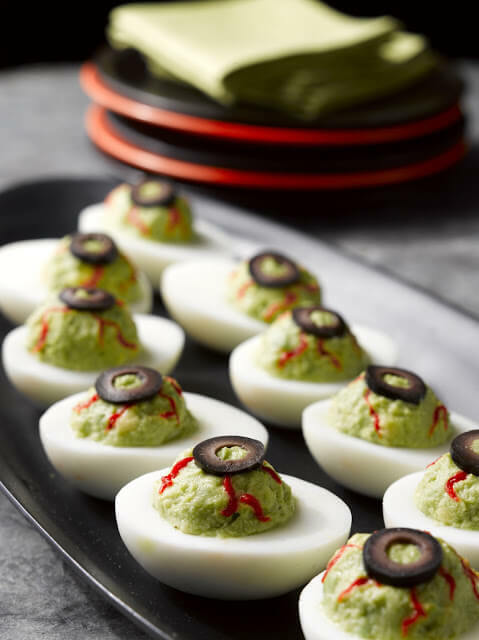 You’ve definitely heard about deviled eggs, but have you seen deviled eyes before? Then take a look at this icky, but supremely creative recipe. We’re sold! 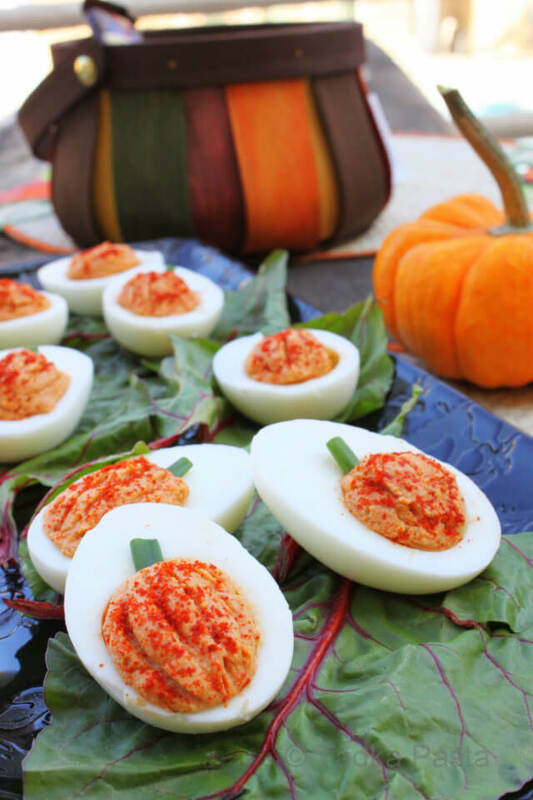 This spiced devil eggs with pronounced flavors will provide your guests with warmth in the slightly cold fall weather. We totally loved the pumpkin shape given to the yolk mix. Never had we imagined that even mashed potatoes can look scary. But that’s definitely a novel idea. 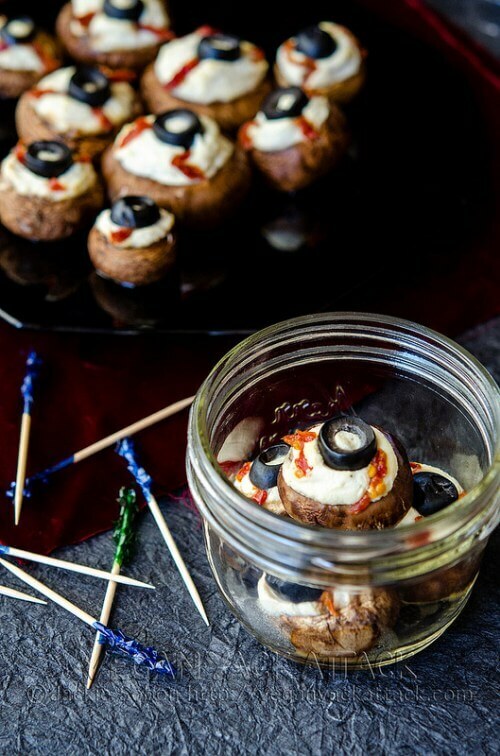 In this recipe, the mushrooms are filled with loads of gooey cheese, which is rich in garlic and then topped with sliced olives. Avoid this recipe if sweet kills your appetite. Otherwise, it’s one of the best appetizers we’ve come across. 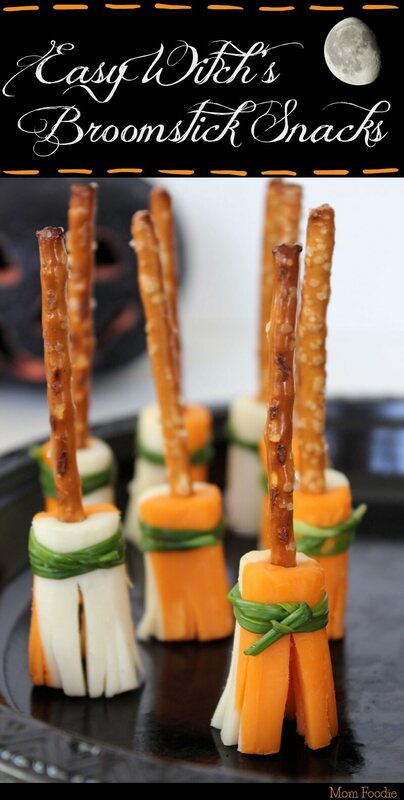 And the award for the most innovative appetizer goes to… For a moment, I thought it’s yarn wrapped around pretzel stick. But it’s actually shredded phyllo. Amazing! 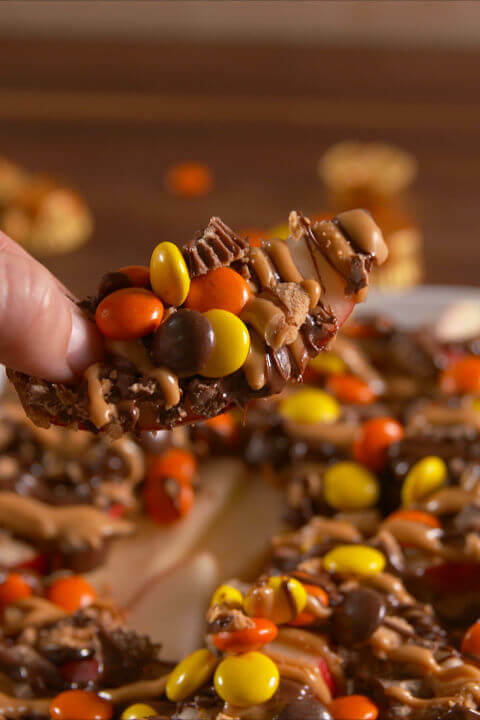 If you’re in the mood of ruining your guests’ appetite for dinner, then serve this peanut butter monster munch. The taste and crunchiness of this crunch will make anyone forget about their dinner. 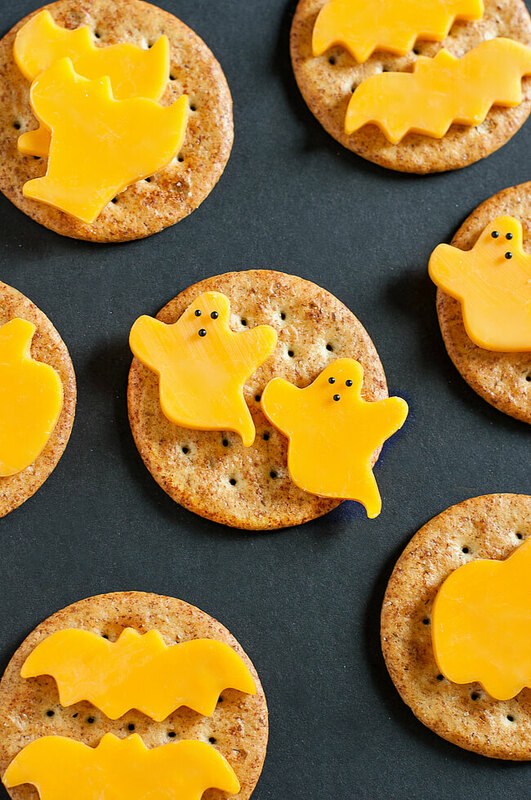 We’re totally confident that these Halloween appetizer recipes will be a major hit at your party. 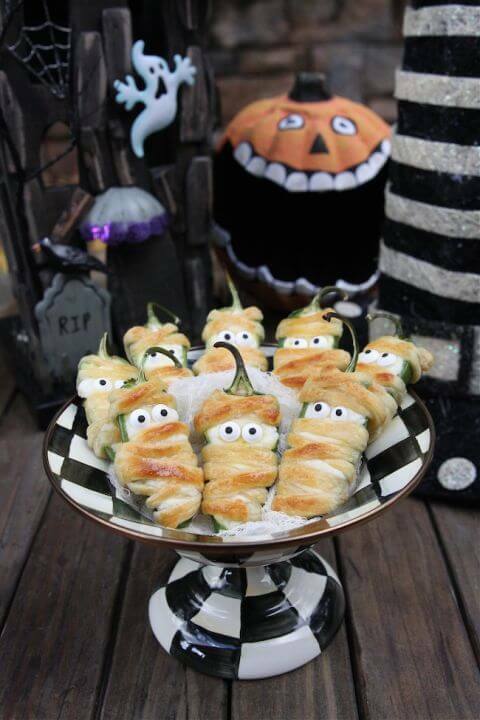 If you have any more Halloween appetizer recipes to share, leave us a comment below.